Jesus made it clear that God, his Father, sent him to teach His Word. It was not a case where Jesus was walking around making up things and claiming to be the author of the message—he always gave credit to his Father. His love for all mankind was a reflection of God’s love. He healed through God’s power. He rid people from demon possession; raised people from the dead; healed the sick, the blind, the deaf and the mute. Yet he was accused of being possessed by demons. No matter what he did to help— he found himself doubted and under attack. Understand that as you do God’s work you may come under attack by doubters, non-believers, and even by believers who are envious of your relationship with Him. As long as your focus is on God, His truth will reveal all— and silence the naysayers. Father thank You for opening my eyes to the truth, for showing me how to demonstrate this truth, and speak to others clearly— leaning on Your word and not relying solely on my understanding. Father I understand that the closer that I get to You, the more I will be attacked by the “liar” and by those whose eyes are not opened and focused on You. Thank You Father for protecting me. Thank You for blessing me. I only want to honor and serve You, and live a righteous life. Show me how I can be a better servant Father. Amen. We must stop asking God what He’s done for us and start giving of ourselves as He expects. We are to be the examples we hope to see in the world. We are to be the paradigms, and from that we will find doors, windows, cubbies, and spaces of opportunity open for us. We will find our paths become less rigorous because we will stop leaning into our own understanding and simply walk where, when, and how God instructs us. Our doubts and fears will diminish. Our crooked walk will straighten. Our turned head will be realigned. Our eyes will be refocused. Our minds will be sharp and clear. Our tongues will not be forked. We will not question our Father, we will instead just say, “yes Father, I will obey“. Let us start counting our blessings and not counting down the days of expectancy for blessings. Let us stop waiting for what’s next, and start living for what’s now. Start expressing God’s love and watch how it flows back to you. Enjoy your day. Father I’m sorry for taking You for granted, for having expectations of blessings, and not being humble enough to practice patience. I apologize for not giving You what I expect in return. I love You Father and I’m so grateful to be Your child. I want to please You. I want to be the best steward; the most humble, committed and obedient ambassador. I want to express and reflect Your love each day. I want to show my gratitude for every breath that I take. My life, my reality, my experiences are only made possible because of You. Thank You Father. Amen. Once we come to a point where we fear absolutely nothing other than displeasing God and fearing His judgment, we will be at the very place He has intended. When we no longer rely on money as our king and solution to all of our problems—and instead rely on God—we will see our lives clearly as He does. We will truly be walking in faith knowing that no matter what situation we encounter He is there. We will never fear poverty, homelessness, illness, death, life, abandonment, being unloved or being alone. We will be complete with Him. 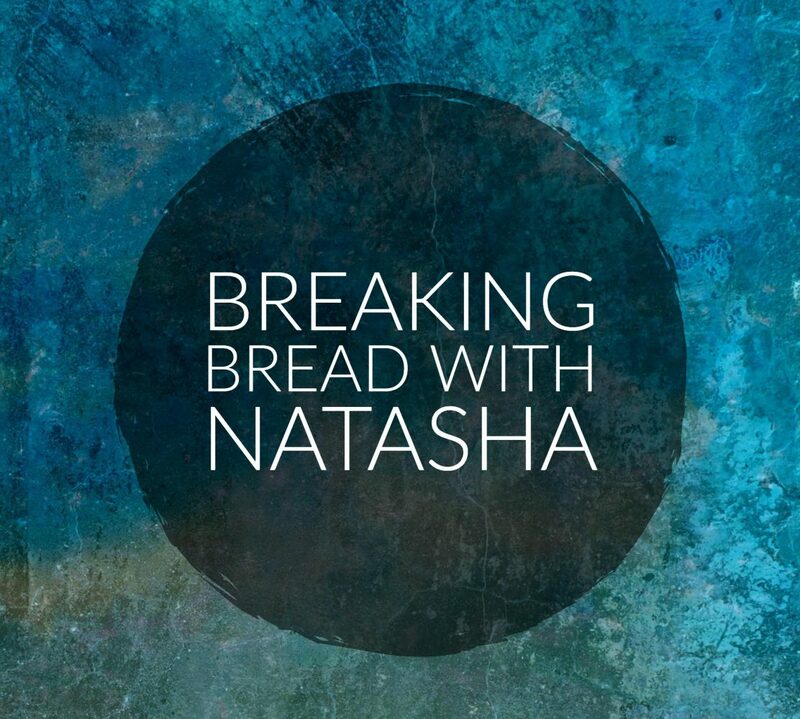 I am grateful to and for those of you who contact me and send your thanks for these Breaking Bread messages. I am grateful that you find a connection with the passages selected, and the prayers and reflections that come from God’s love and light. I pray that God will continue to use me and bless me through this platform, and lovingly push me to do and be more—as He needs, not just within my comfort zone. Enjoy your day. Enjoy your time with family and friends. Enjoy those moments alone. Enjoy the present. Enjoy your talks with God. Embrace the unlimited love. Father You have never stopped blessing me. You have always provided me with shelter; never homeless, because my home is with and in You. I know that a house is not a home if You are not the foundation. I know that the money I earn is Yours—and You make those provisions for me. I know that my material possessions are on loan to me by You. I will not be afraid of losing what I have, because God, You are my provider. I will fight my fears because I know You will never abandon me. Father help me say and believe with confidence that I fear nothing. In Jesus’ name I pray. Amen. This is going to be a deep and revealing message today. I share with the world because my loving relationship with God and Jesus is no longer a private one for me to tuck inside myself. If we are to grow and become truly one with God, and build His Kingdom—we must openly share our trials, tribulations, and testimonies so that we can all learn and see God’s presence protecting and guiding us. Several weeks ago I asked God to show me the truth about a situation. I asked Him to open my eyes and reveal the truth. What I did not truly understand was that this revelation would hurt so bad that it would be hard to breathe, think, or sleep. My body is in pain— but I am pressing forward knowing that it won’t last long. These past few months have been cutting at me like quick slices from a knife, or millions of paper cuts. To find out that my reality was a lie has been so painful to accept. The reality is that I ignorantly believed I was placing God first in my life and in all of my decisions, when in actuality I was putting myself first. I was putting my wants before the needs God has put His ‘stamp’ of approval on. As I pray, those around me tell me that I am to wait for God’s instruction as to what to do— I’m not to flee nor make my situation worse— I’m supposed to sit silently and pray for His message. I have also been counseled to not go deeper because I will be tricked into believing the lie, and it is not God’s reality, nor is it His plan for my life. But I must sit still and wait for Him. That is so troubling to me. I’m not sure what lesson I am supposed to learn exactly. Am I supposed to acknowledge one or all parts that I see presently? Is there more? How will this help me be a better child, steward, and ambassador to God? What is this experience preparing me for? I feel like a fool; like a naive child who should have known better, who should have paid attention to the warning signs but did not. Am I too nice, too loving, too generous, too giving of my heart? Jesus said to keep our eyes and minds always alert so that we can see when light as well as darkness is approaching. I trusted that I was walking next to light— and now I wonder if I’m wrong— or if darkness is seeping its way in to try to overshadow this light I trusted; or trying to cast a shadow over my light. It may not be pain-free initially, but freedom from shackles hurts at first until you’ve been free for some time. I am waiting to be free. I am waiting for the lesson to be realized so that I can stop repeating this. I know this is a repeated lesson because the feelings are the same. The messages in my dreams are the same. The messages that come to me throughout the day are the same. I must see and know the truth in total— so that I can move forward on the path God has for me. I cannot be concerned with the temporal but the eternal. I cannot be consumed with what feels good, but what is of God— and nothing that is of God would ever make me feel the way that I do. If any of you can empathize with today’s prayer and reflection please share this message with others, and please share your testimony and how you grew or are still growing from your experience. Do you have any words of wisdom to help those of us struggling with seeing and accepting the truth, learning our lessons, and moving forward? As every day, I pray for all of you and I pray that you are doing the same in return for me. Let Your day be exceptional, as God blesses you every second that you breathe and every time that your eyes blink. There is no greater than God and Jesus. True love and joy only come from a relationship with them. Know yourself so that you can know them. I want to quickly thank my mentors and family members that have been a rock and source of support and love, especially these past several weeks. I also want to thank my guardian angels. I can’t see them, I don’t think— but I definitely feel their presence. Father I bow myself to You. The truth I seek does not always feel good once received. You nor Your Son ever said that the journey and revelation of truth would be pain-free. It is my desire to no longer hurt that makes me desire a freedom in truth that is painless. This desire is also slowing down the process of You revealing all to me sooner. Father I’m torn from wanting to know the whole truth and wanting to live a life with the least amount of pain as possible. I’ve endured so much in my life that I assumed the joy that I was feeling would last much longer, help me move forward into the future, and be something different than what I am accustomed to experiencing. Friction brings the most beautiful diamonds to surface. Penetration of darkness is the only way for light to shine through. Nothing is easy. Nothing is pain-free. I understand this but it is still something that I struggle with- so today I pray to You for strength to endure this pain. That as You reveal more in my life that I am made stronger to endure, to walk with my head up and shoulders back. I pray that no matter how many lies I encounter—Your truth will always be known to me. I pray for the strength that when You tell me my lesson here is learned and it is time for me to move on to the next one, that I can do so without resistance or fear. Father help me. Thank You for Your favor. Thank You for Your unconditional love. When I can’t rely on man to love me fully, I know that You and Jesus have, do, and always will. Thank You Father. In Your Son Jesus’ name I pray. Amen. Copyright 2010. Natasha L. Foreman. Some Rights Reserved.